In a demanding sprint course at EOC 2018 Sprint, the winners Daniel Hubmann and Matthias Kyburz took the right routechoice on nearly every leg – and their execution of the routechoices was close to perfect. The following analysis goes through the GPS- and splits-data on the most interesting legs, and looks at where the top runners lost time and how the race was decided. But first a look at the race development through splitgraphs (note that you can skip down to the GPS/leg-analysis if that’s what you are interested in). 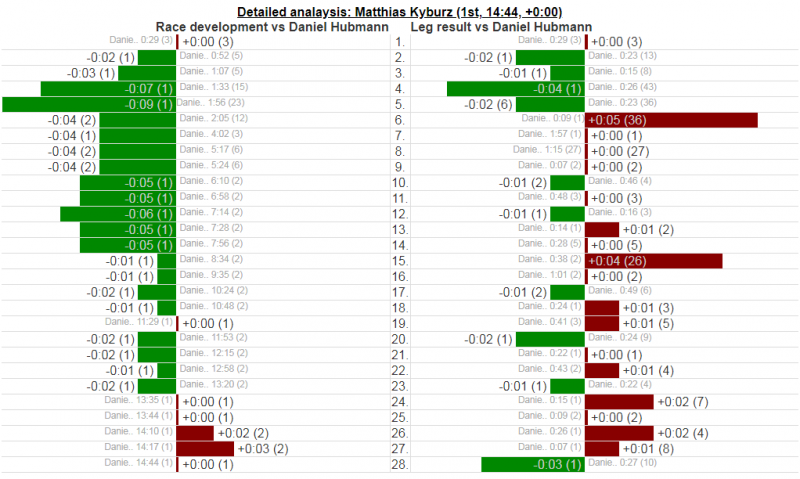 First a quick look at the race development between Daniel Hubmann and Matthias Kyburz to see where the race was decided. The two Swiss runners ran very close races, with never more than 5 seconds between the split times of the two Swiss runners on any leg. Hubmann lost 4 seconds to Kyburz to the 4th control and 3 seconds from the last control to the finish – and gained 5 seconds to the 6th and 4 seconds to the 15th control. Except for that the time difference was never more than 2 seconds on any leg. Kyburz built up a 9 second lead at control number 5 – this was the maximum time difference between them. 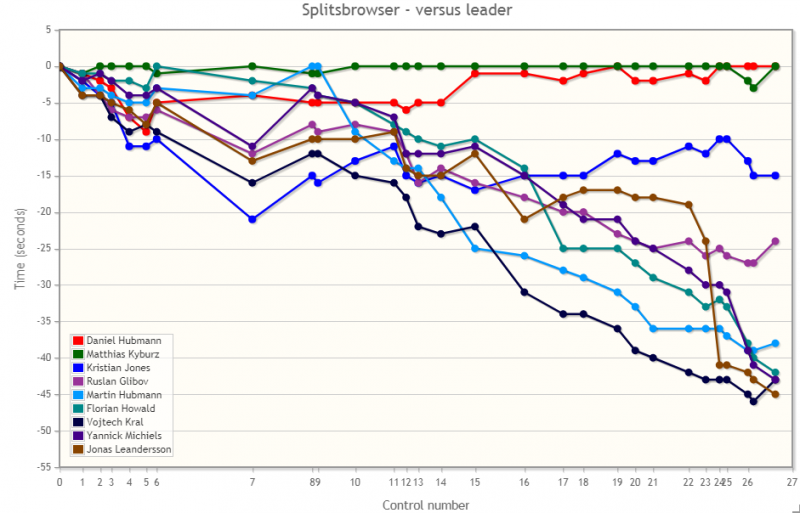 Next we look at a graphical splitsgraph of the 9 top runners to see where the race was decided among the other runners. No other runner was close to the gold medal after control 11. At control 9 Daniel’s younger brother Martin Hubmann was actually in the lead, but from there on he lost time on nearly every control. 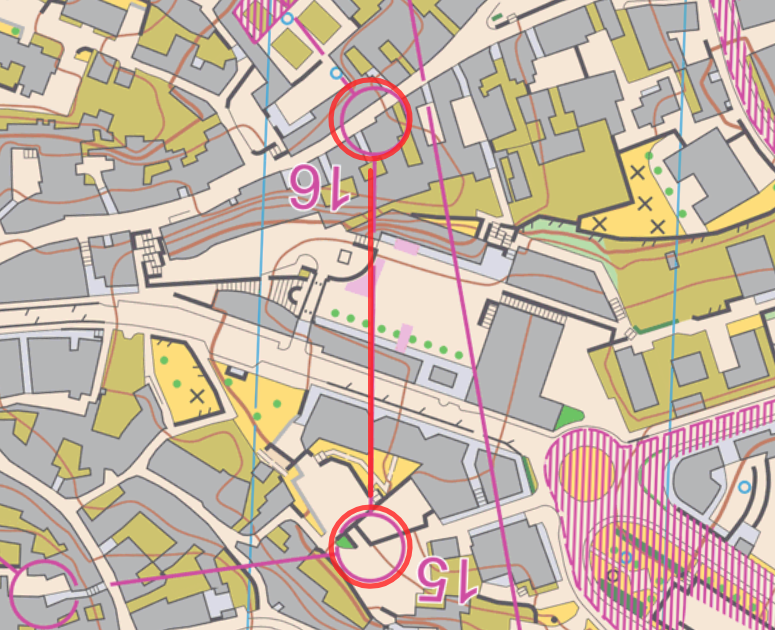 Hubmann and Kyburz gained significant time on several of their competitors on the long leg to control 7 (Kris Jones lost more than 10 seconds on the long leg), and lost time to most of their competitors to control 8 (5-8 seconds lost) and control 6. Looking at the fight for the bronze medal, Kris Jones decided the battle for bronze in the last half of the race. At control 15 he was still in 7th place – behind Florian Howald, Yannick Michiels, Jonas Leandersson and Ruslan Glebov – but two good legs to control 16 and 17 brought the British runner into 3rd place – and from there and on he ran the same speed as the winners. Jonas Leandersson looked like a clear 4th place until the Swede lost more than 20 seconds on control 23 and 24 – falling from 4th to 9th place. Yannick Michiels, Florian Howald, Martin Hubmann and Vojtech Kral all had steadily falling curves from being in the battle for the medals around control 15 – seemingly not having the speed to battle towards the end of a sprint course. 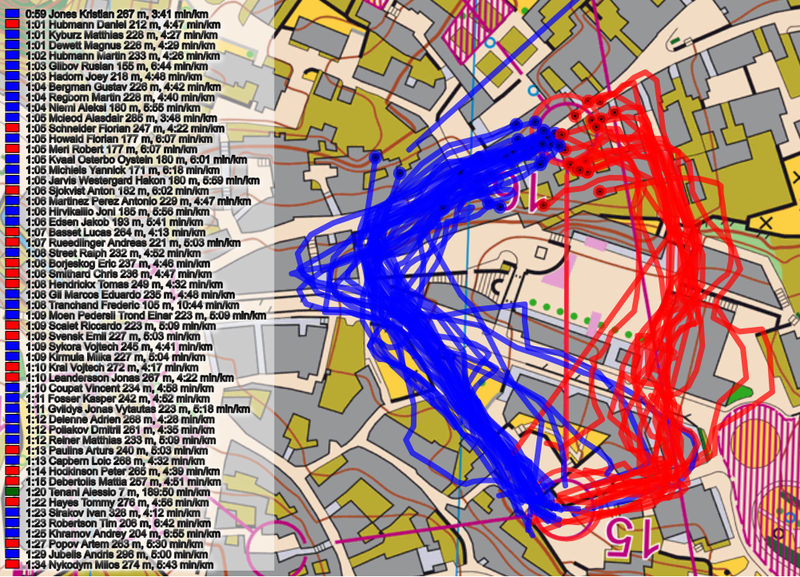 The GPS/splits-analysis is done by using official split times along with the quite inaccurate GPS-data. 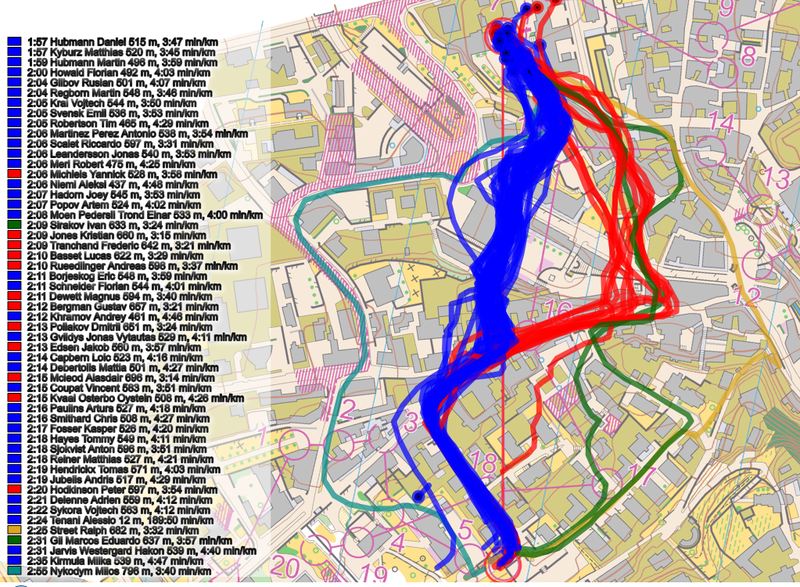 By coloring the runners who took the different routechoice in different colors, it is possible to see which routechoice is the best, and which runners lost time due to a wrong routechoice. Note that the coloring is not always perfect, but it is still good enough to get a good understanding of each leg. 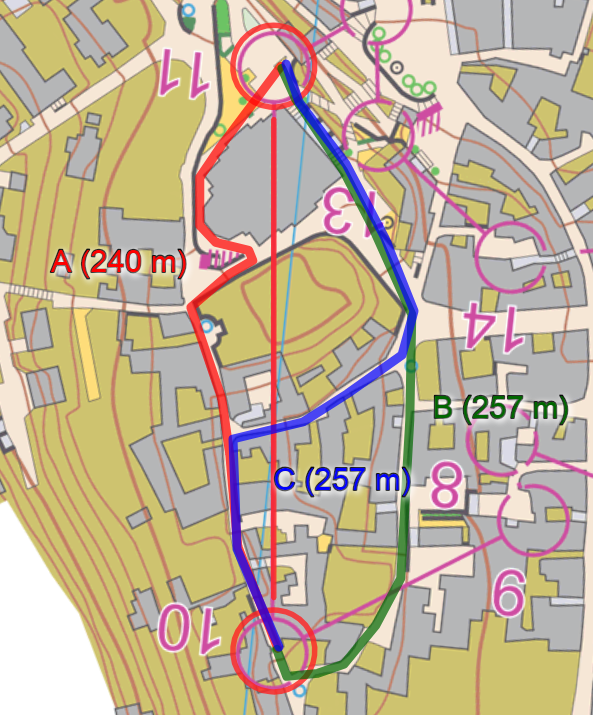 In the smaller illustrations below (click to make them bigger), you find the leg without routes and the leg with the most relevant routes drawn along with length in meters. The first interesting leg is leg 4-5. This is one of the few legs where both Daniel Hubmann and Matthias Kyburz take the wrong routechoice. They both go left (red on the GPS), but the routechoice is only 1-2 seconds slower than going right. Kris Jones, Yannick Michiels and Jonas Leandersson also take the wrong route going left. Thus not a very decisive leg. 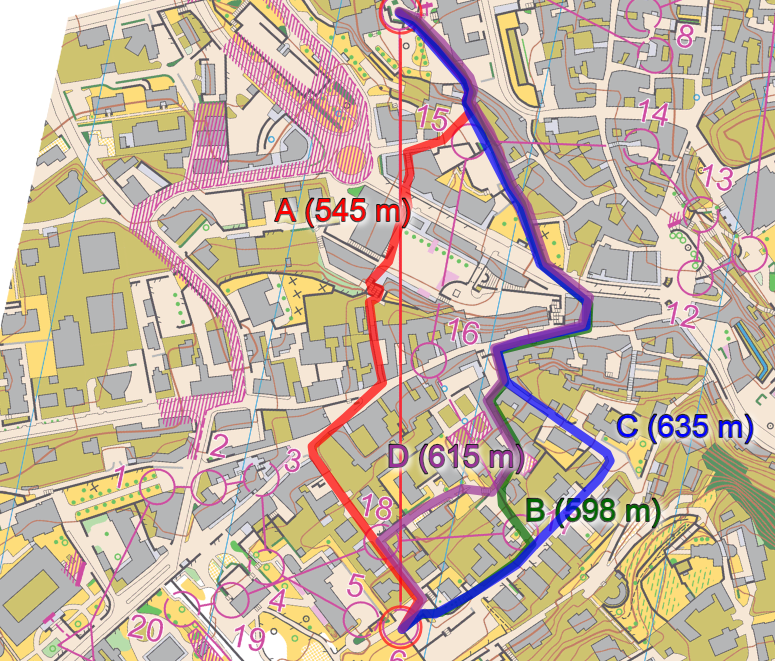 The leg from control 6 to 7 is the major leg on the course – a leg where both Daniel Hubmann and Matthias Kyburz take the fastest routechoice (blue, nearly straight) while Kris Jones and Yannick Michiels run to the right (red routechoice), Jones losing more than 10 seconds of the 15 seconds he was behind at the end of the course. 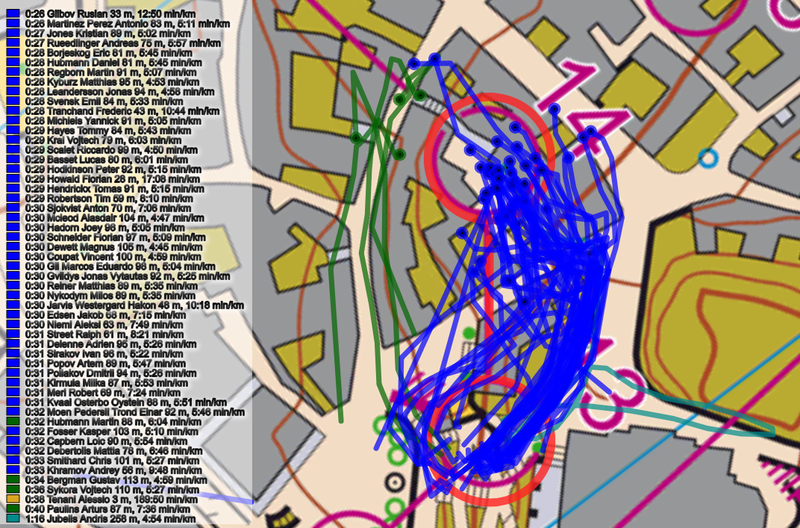 A few runners take really bad routechoices (Nykodym, Street), but most run either blue or red and thus the quite big time differences at this leg (half of the field lose 20+ seconds) is more about execution and running speed than about routechoice. 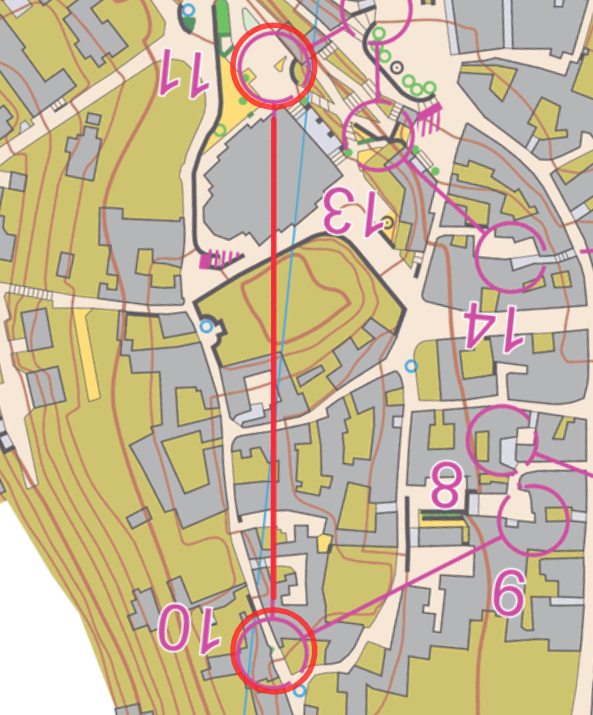 The leg from control 7 to 8 (actually from a new start triangle) comes straight after a map exchange, and chosing the correct choice fast was obviously difficult for many. 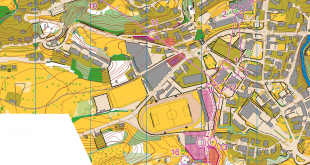 Nearly half of the field choose left which is around 30-35 meters longer, and 5-8 seconds slower. 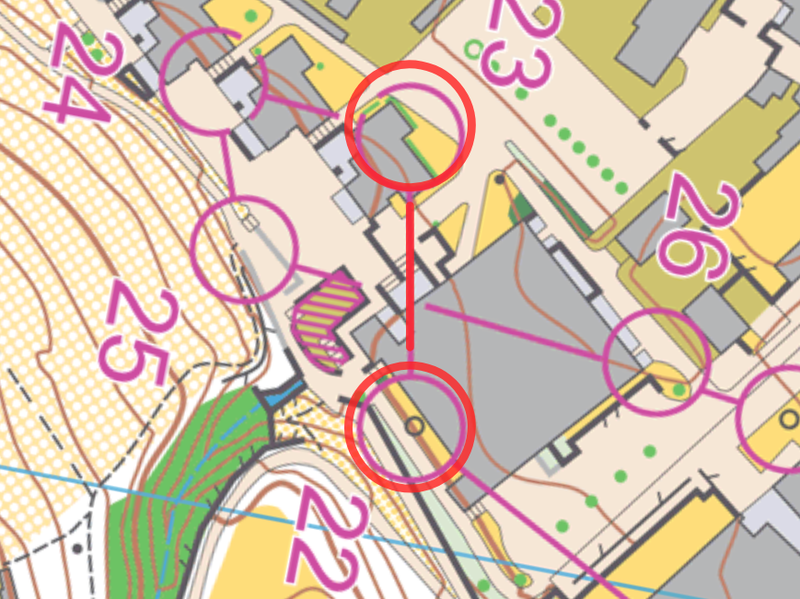 Even if many runners took the wrong choice here, it is not so important for the fight for the win as both Daniel Hubmann and Matthias Kyburz take the wrong choice here. However, Kris Jones gains 7 seconds on Hubmann/Kyburz, and several other runners do as well. 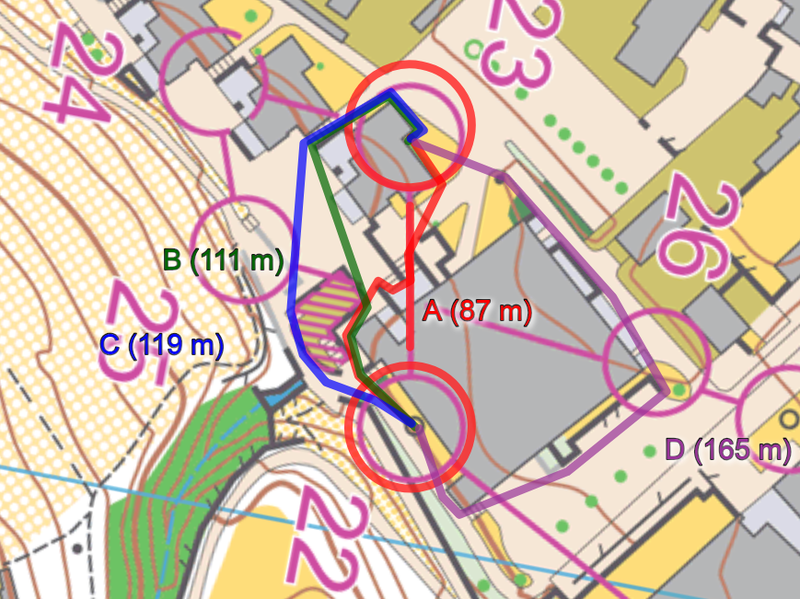 Leandersson goes wrong, though – without this miss he would have been in medal position at this place on the course. 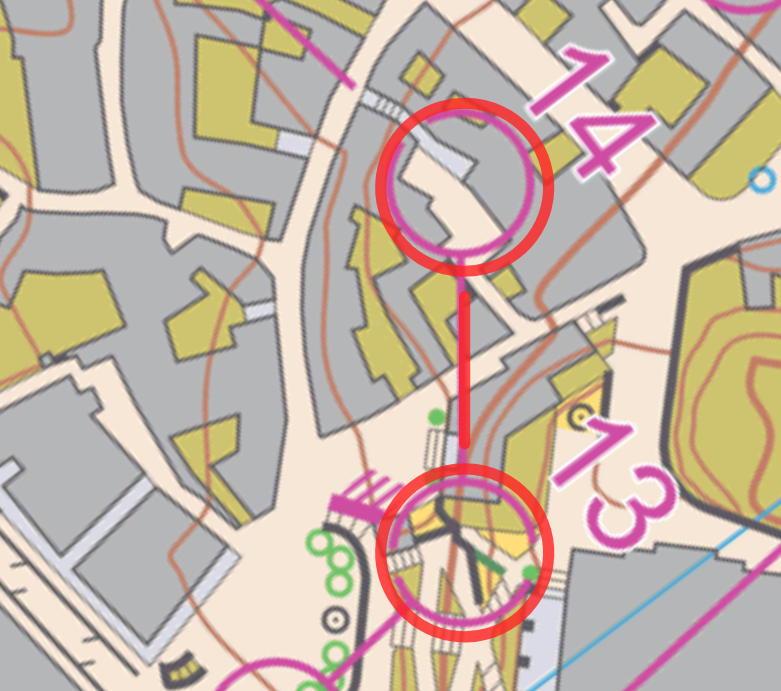 Howald loses time here, but he takes the correct route and loses time on execution. Control 9-10 is another leg where some runners take the wrong route (left) and lose 8-12 seconds. 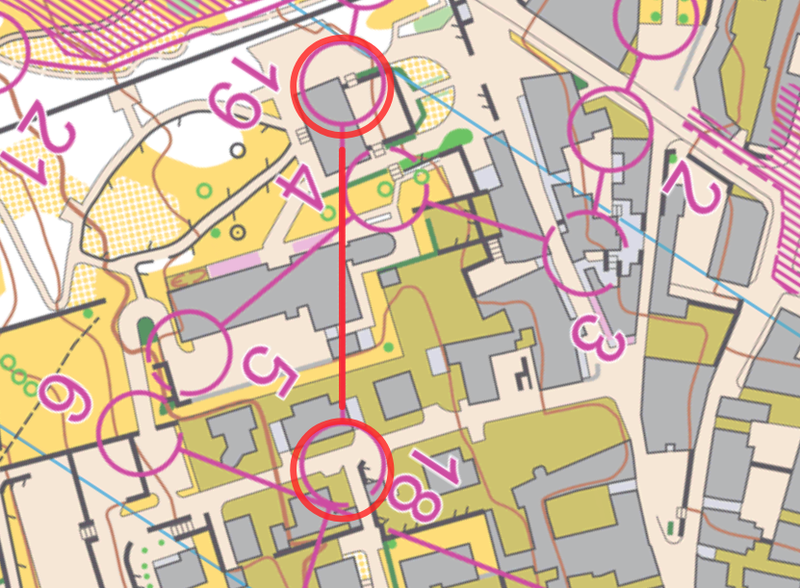 None of the top runners do this mistake, though – Perez and Ruedlinger finishing in 11th (+55, 40 seconds behind bronze) are the best finishers making this mistake, losing 10-12 seconds. 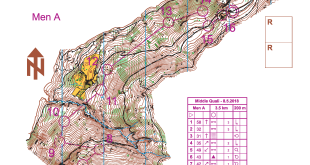 Martin Hubmann loses more than 10 seconds, but it is not possible from his GPS to see why. 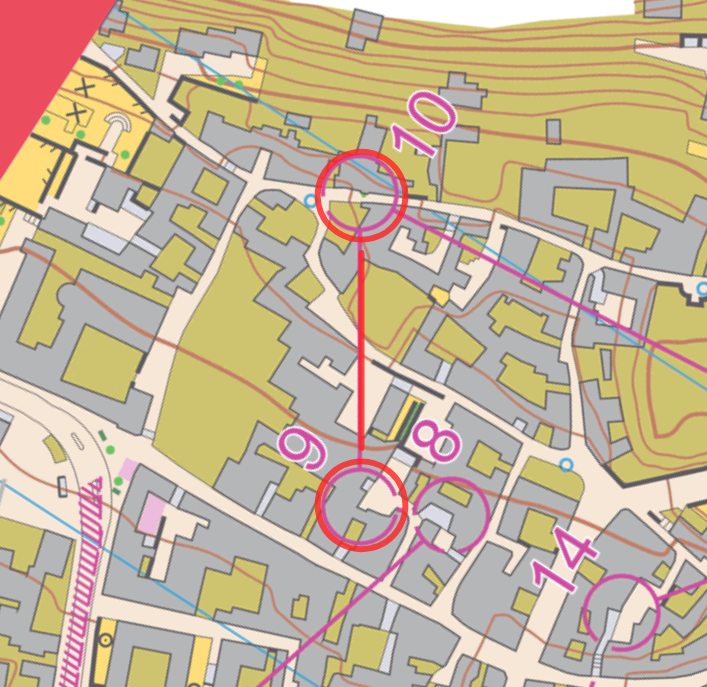 Control 10-11 is another control where several runners take the wrong route (right, in red, green, purple or yellow) – the time loss is only some 4-6 seconds though. 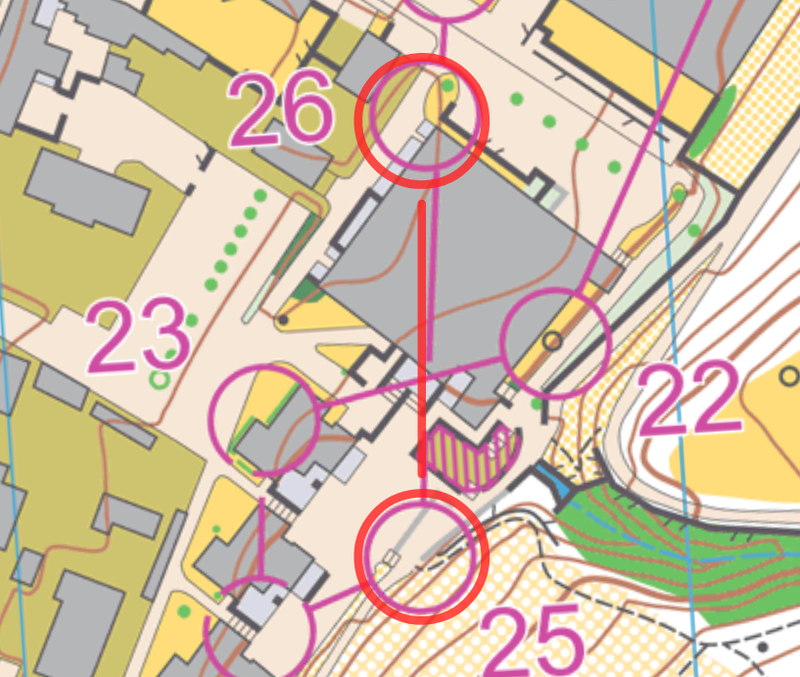 Of the top placed runners Howald is the only one where the GPS shows clearly a wrong route. Martin Hubmann does however again lose time here. 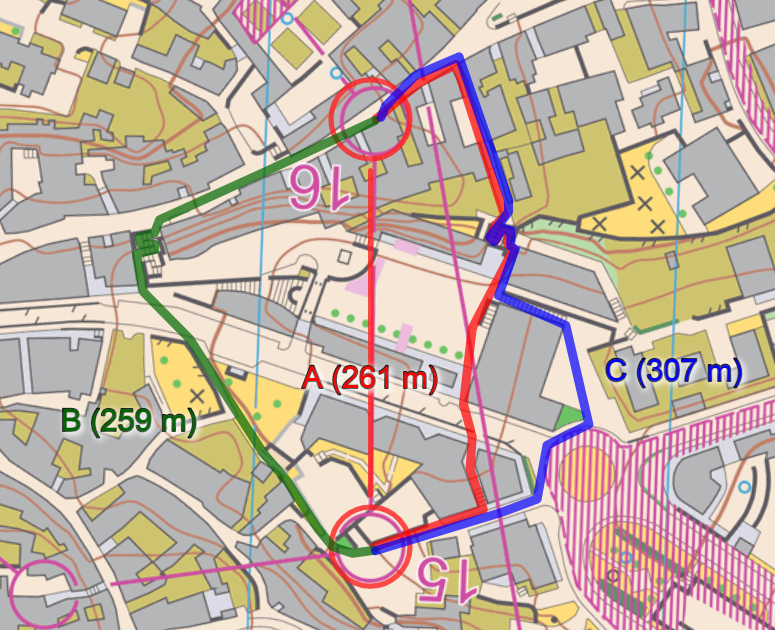 A short leg where again some runners take the wrong route (left, in green) – of them again Martin Hubmann along with Gustav Bergman who both lose 5-6 seconds. 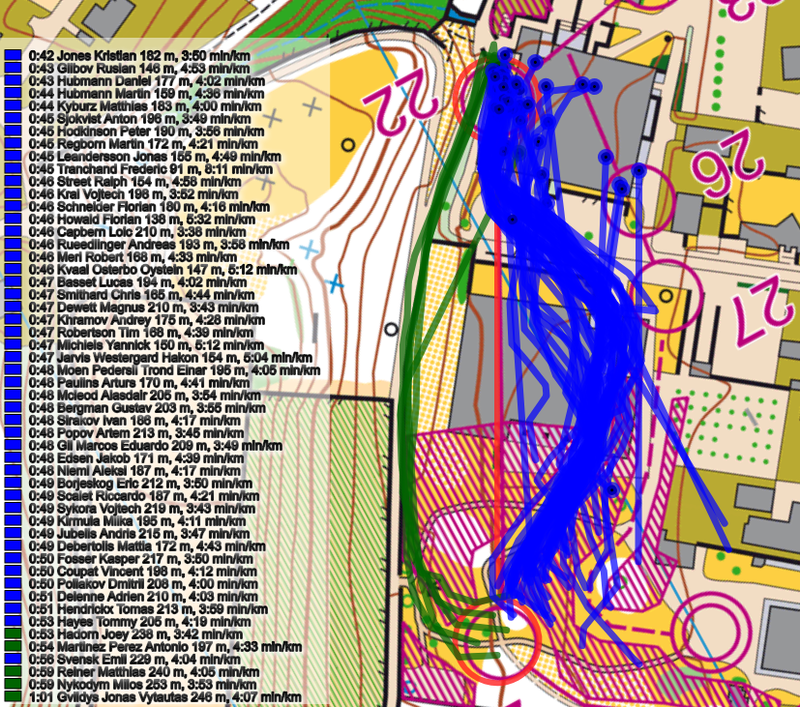 Leg 15-16 is a leg where the field is spread into two different routes – either around to the left or to the right. 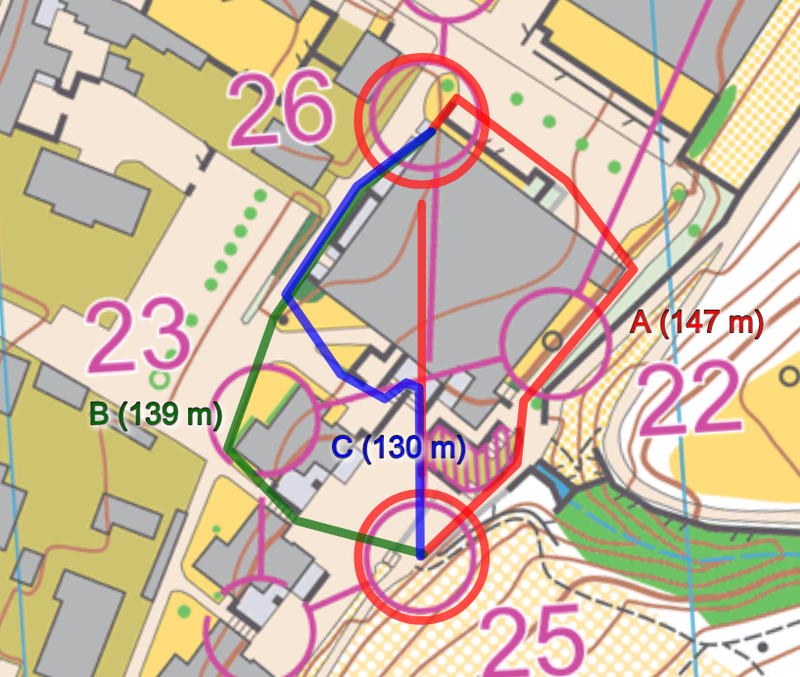 It may look like left and right are approximately equal in time as Hubmann runs the second fastest split going right, but probably left is slightly faster when looking at the complete field – Hubmann just has very high speed and excellent execution at this point in the course. Kris Jones wins the leg with 2 seconds to Hubmann. 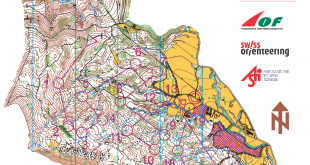 Leg 18-19 is again a leg where the field is split into two halfes – going either left or right. 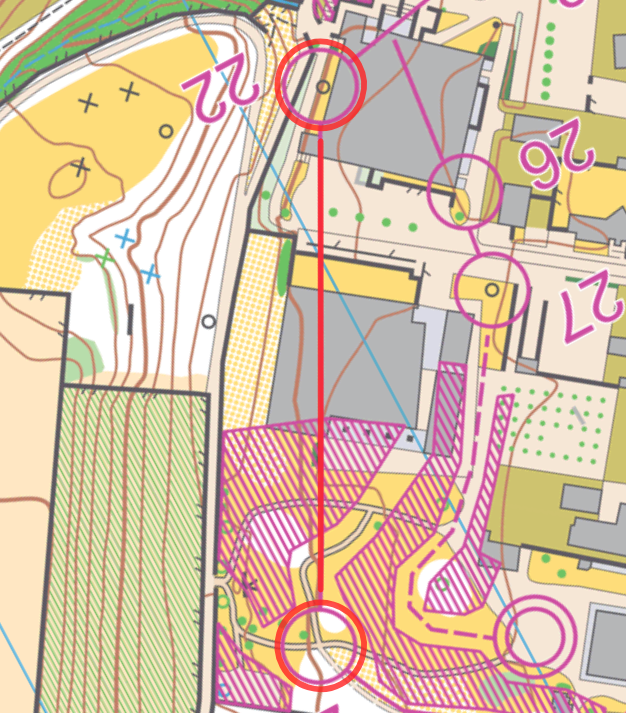 Right (blue) is probably slightly (1-2 seconds) faster – Hubmann, Kyburz, Leandersson and Howald all run the slower red, while Kris Jones runs right. Control 21-22 has a more decisive routechoice – but only a few runners take the wrong (left = green) choice and lose 10-12 seconds. The best placed runners doing this mistake are Perez and Hadorn. 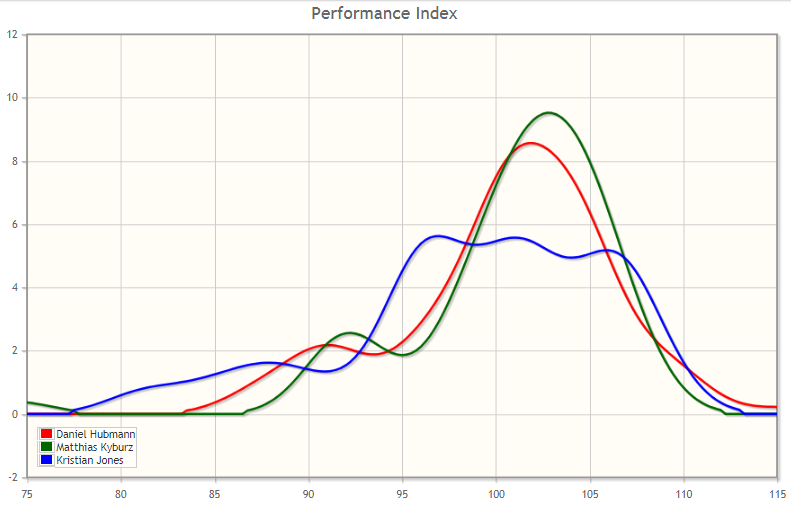 Leg 23 is short leg where again a few runners lose significant time by not taking the fastest (blue) routechoice. 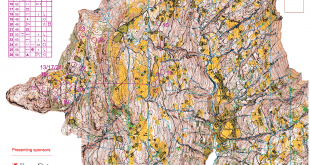 Again Hadorn takes the wrong route – along with Svensk and Basset. 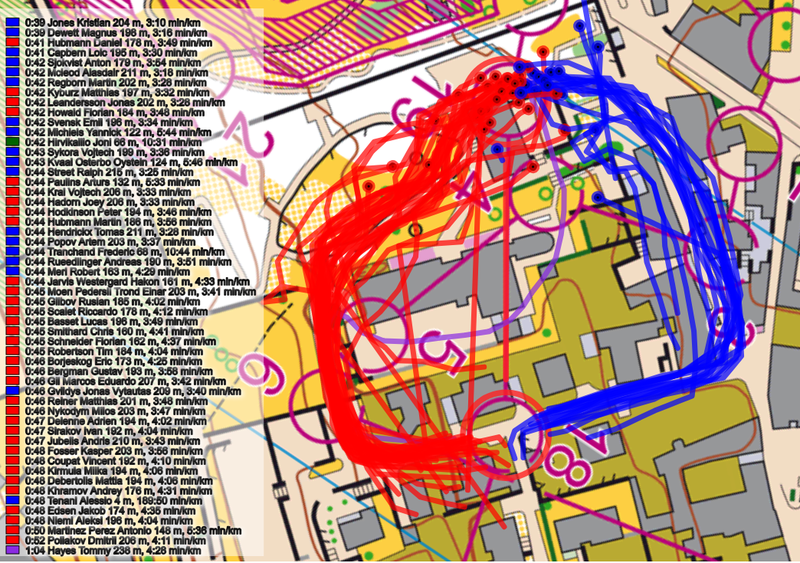 Leg 26 is the last routechoice leg – and here Hubmann runs left (blue = faster) and Kyburz left (red). Kyburz loses 2 seconds, and nearly the shared victory – but the strong finish sprints saves him the gold medal. 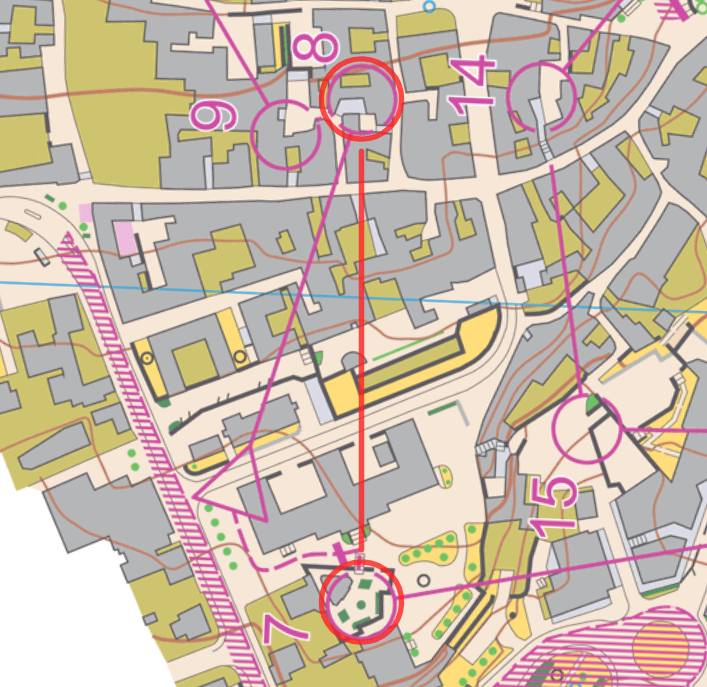 Overall, this course was more about execution than about routechoices – still the demanding execution through all the narrow streets makes it difficult to always take the right routechoice. Even the winners took the wrong choice a few times each, but their execution was excellent from start to finish, and that’s what saved the day and the gold medal. 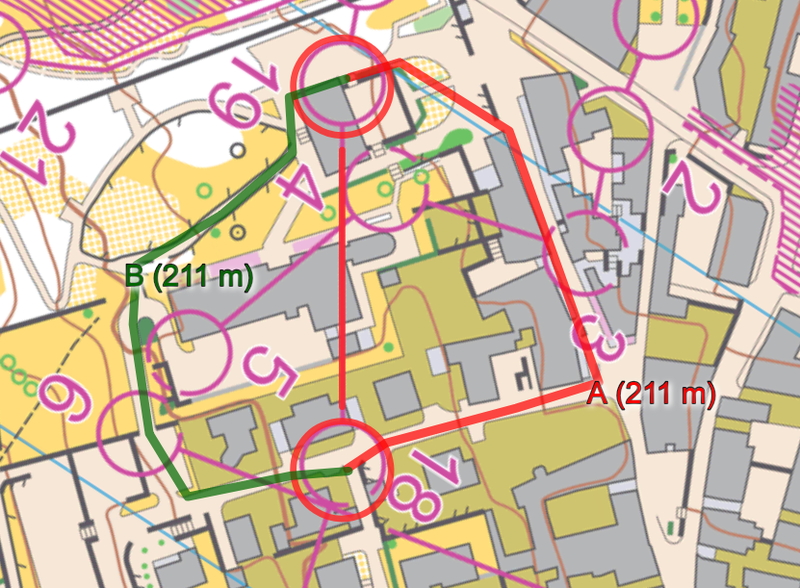 Bronze medalist Kris Jones was only a good routechoice on the long leg and better execution on some of the early legs from being up their with Hubmann and Kyburz – his speed was good enough for victory – maybe even a bit too high to execute perfectly in this type of tricky orienteering. Jones’ performance index could indicate that. Why does the rules for EOC differs from WOC rules wrt to using tenths of a second for timing? Jan, it would have been even nicer if you had colored the runners using the same colors as when showing the alternatives.